Jeff W., is that you? I’m a little late to hop on the Drive-By Truckers Mechanical Bull Ride, which is too bad, because they used to play down here in Greensboro on a fairly regular basis. While their latest album is not nearly perfect, this song is. “The Opening Act” is a Tonight’s The Night-esque epic. The bit toward the end, where the narrator sees the sun “rising over a Technicolor horizon,” is a beautiful example of how good bands use color and variation in music to illustrate the dramatic weight of the lyrics. The song just seems to lift off right there. Wilco sometimes writes wonderfully suggestive songs about a mythological rock and roll universe. 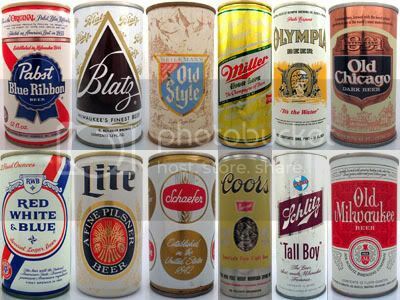 I, for one, would love to hear a triple bill with The Late Greats, The Kay-Settes Starring Butcher’s Blind, and Choo Choo Charlie’s Plenty Good Band. Maybe Romeo, he of the golden vocal cords, could join the bands for a Kiss cover or two. Beautiful and stoned. What are your favorite fictional rock bands? There’s no theme or commentary to today’s post other than it’s Friday and I adore these two songs. What sounds good to you this Friday? 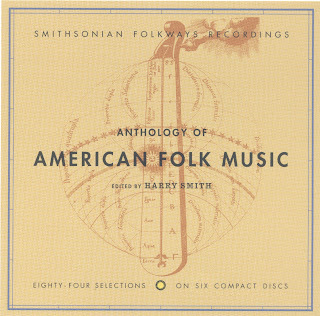 For the next three days I will be discussing the Anthology of American Folk Music, which I have recently acquired in a handsome-as-hell reissue package. These 6 CDs have been called “the holy grail of folk music,” but I prefer to think of them not as an impossible gleaming cup floating in a shaft of light in some far-flung castle, but as a chipped hand-thrown clay mug we mere mortals can drink from whenever we’d like, whether we are worthy like Parsifal or not (and we’re probably not). The anthology is divvied up into three sets: Ballads, Social Music, and Songs. Today I will focus on three of my favorites from the Ballads disc. By the way, narrowing twenty-seven ballads down to three is very, very difficult, so I have tried to include my favorites while also giving you faithful readers an accurate representation of what is included. John Hurt’s name is one of the few I recognized when I first began listening to the Anthology. It’s clear that Bob Dylan modeled some of his early singing after Hurt’s low-pitched, buzzing voice. For me, Hurt’s vocal performance embodies the weird allure of the Anthology: the promise of a palpable past, more genius songs than even the 84 included here. Plus, John Fahey said this version of “Frankie & Johnny” featured some of the best guitar-playing ever, and who am I to disagree? Coincidentally, music blog River’s Invitation is posting folk songs this week. Do check them out. Clarence Ashley’s “The Coo-Coo Bird” is absolutely essential. UPDATE: Please check out The Old, Weird America for an in-depth analysis of the Harry Smith Anthology. Most serious fans of classic rock surely know the myth of Robert Johnson–another musician whose premature death seems to give his music the flavor of the unknown. I’ve returned to his music lately and I’m struck by the sheer tunefulness of his songs–something that the Rolling Stones recognized and capitalized on, as evidenced in these classic covers. 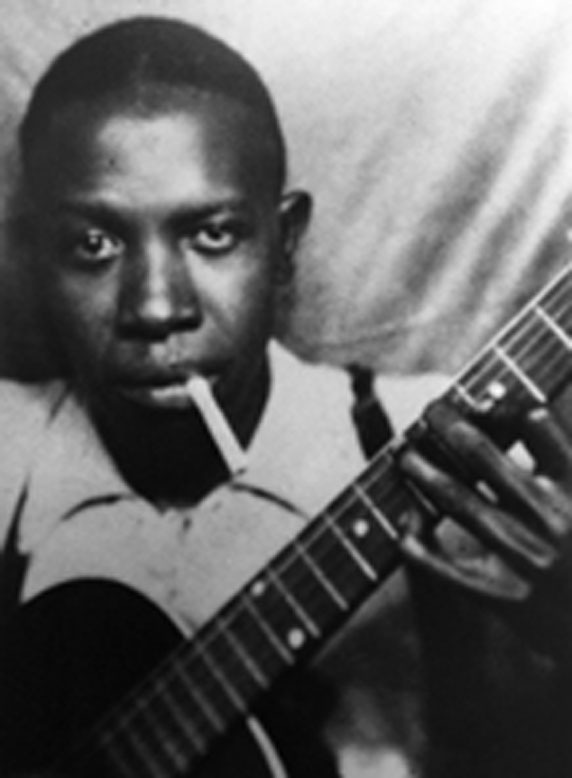 But the Robert Johnson originals are where the real power is. Imagine Keith Richards sitting around in late ’60s Swinging London, taking pills, wrapping himself up in frilly scarves, surrounding himself with beautiful plasticine women–and these cuts, off the King of the Delta Blues Singers, Vol. 2, come on over the hi-fi. It must have been a shock to hear that kind of power–it’s still a shock today, and I would be willing to bet that these songs would retain their power and mystery if Johnson had lived to open for the likes of Blueshammer. Here’s a fascinating article on Johnson’s myth, and the possible discovery of a new photograph of the King of the Delta Blues Singers. If you’re new to Robert Johnson, start there. 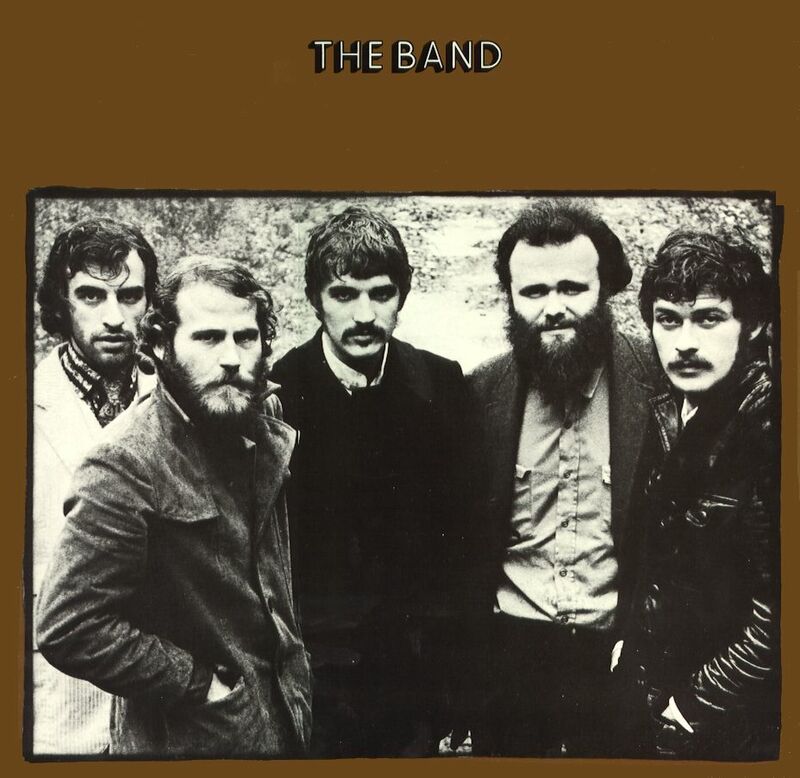 Here are two takes of one of the more coherent tunes from the Basement Tapes sessions. It has a pretty infectious groove courtesy of R. Danko (bass) and R. Robertson (lead guitar). Anyone know what a “floor bird” is?